Welcome to Osprey's class page! 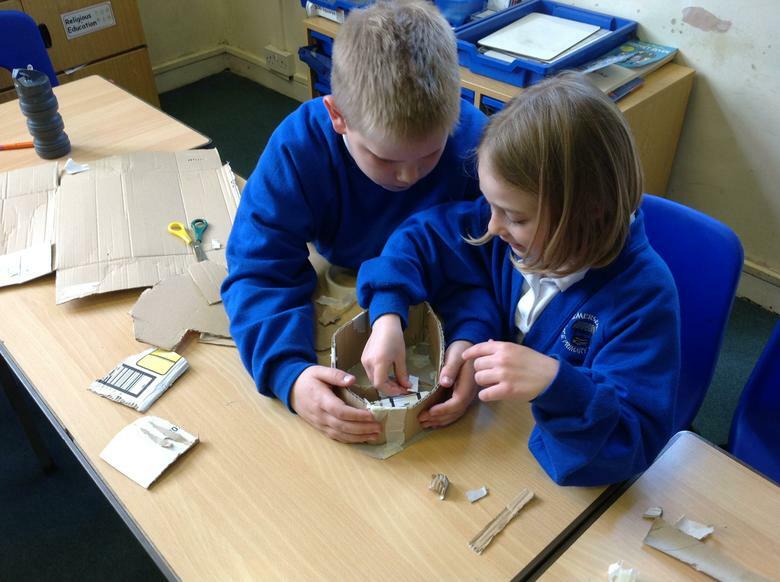 Ospreys are a Year 3 class taught by Mrs Hillier and we are supported by Mrs Herd and Mrs Hopton. 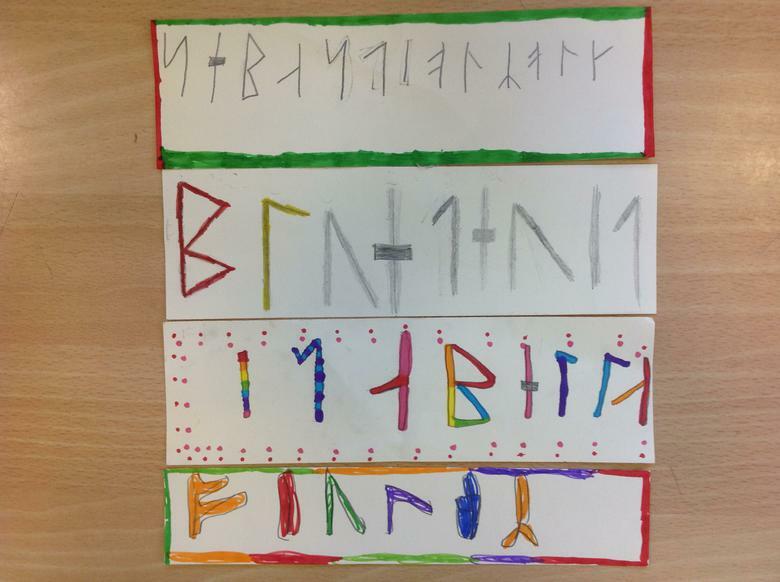 This year we will be exploring what life was like for the Vikings and we are also taking a trip back in time to Ancient Rome! Our Year 3 children are lucky enough to experience Forest School on a Thursday where they learn with Alex about how to light fires, make wooden necklaces, how to spot different types of birds and much more! 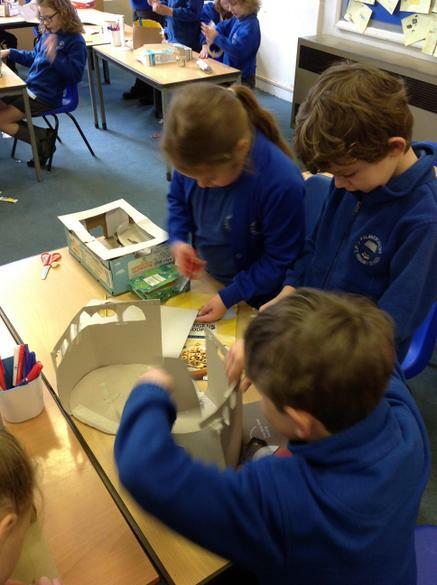 As part of our Roman topic, we have been building our own Colosseum using recycled cardboard. 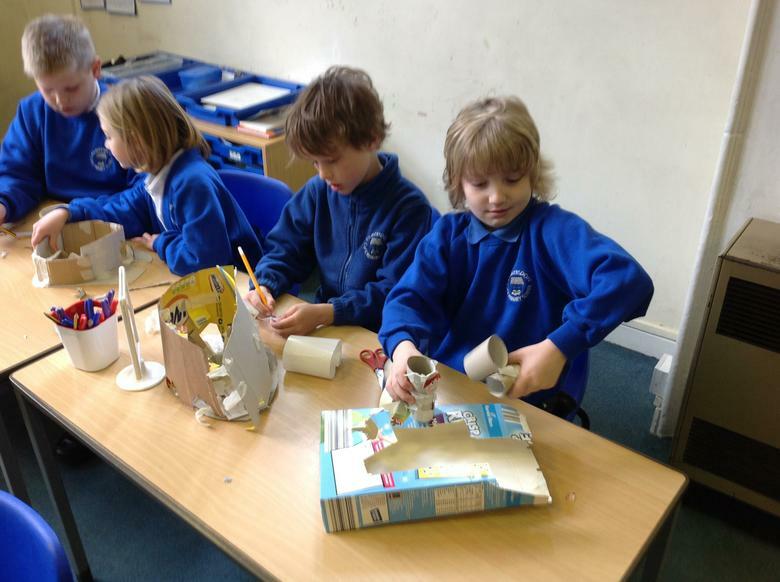 We have enjoyed working as part of a team or independently to build these fantastic creations! Spelling - adverbs ending in -y with more than one syllable eg. happily, greedily, cheekily. Grammar - to learn when to use 'an' or 'a' correctly. Literacy - to write our own Portal Story focusing on using lists and adjectives. Numeracy - to estimate answers to addition and subtraction calculations. To check answers using the inverse. Spelling - adverbs ending - ly with no change to root word eg. sadly, quickly, patiently. Grammar - to use commas correctly in a list. 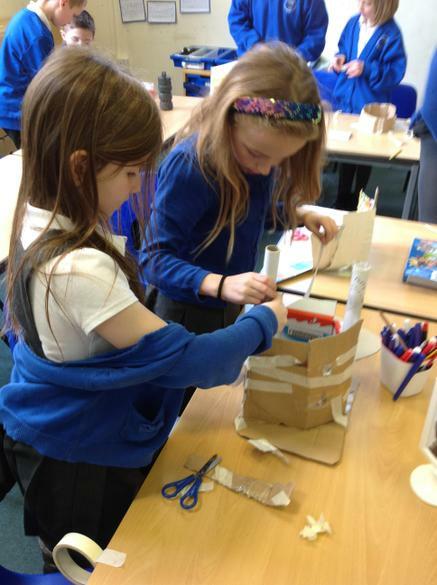 Literacy - to learn a Portal Story and plan our own version. Numeracy - to use column subtraction in 3 digit numbers and to solve reasoning problems. Spelling - Near homophones e.g. brake and break. Grammar - To use time connectives and bossy verbs in a set of instructions. 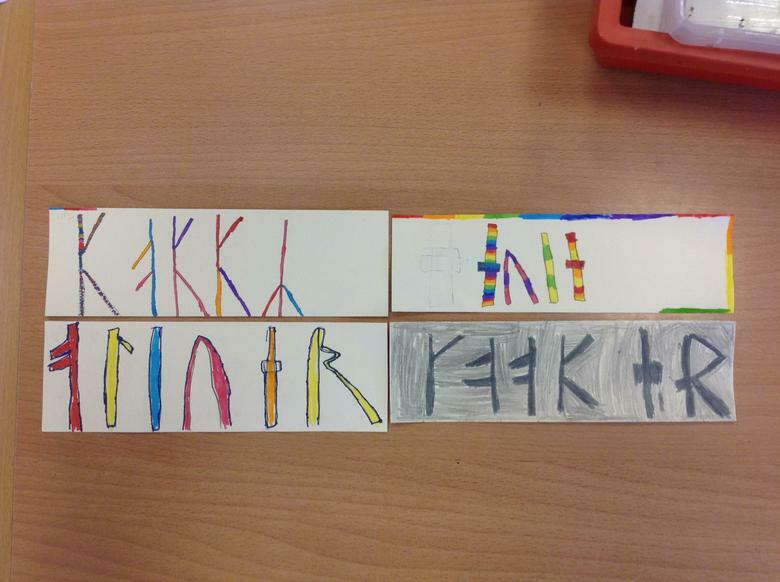 Literacy - To write a set of instructions for building a Viking longhouse. Numeracy - To add and subtract multiples of 100. To add and subtract ones from a 3 digit number. 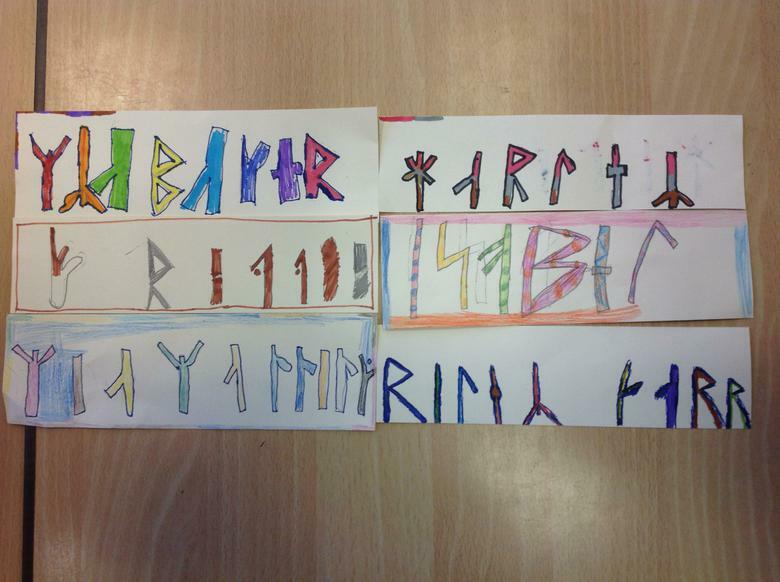 We learnt about how the Vikings used runes for their writing instead of letters. 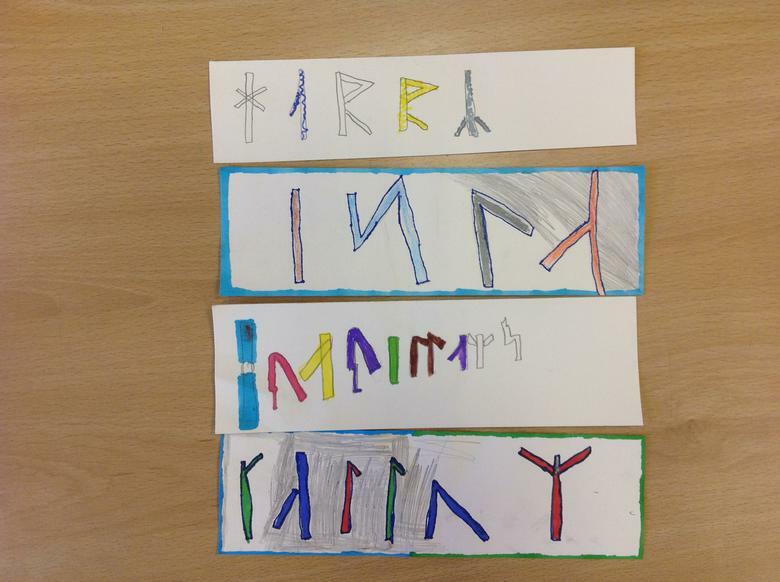 We looked at the Runic Alphabet and tried to write our own names. Spelling - Long /a/ sound spelt 'ai' e.g faint, brain, contain. Grammar - To use coordinating conjunctions (FANBOYS) to extend sentences. Literacy - To continue writing a Finding Tale using coordinating conjunctions. Numeracy - To find 1,10,100 more or less than a given number. To use the 5 times table to count in steps of 50. Spelling - Long /a/ sound spelt 'ey' e.g. prey, they, disobey. Grammar - To use prepositions for time, place and cause. Literacy - To invent a finding tale story using interesting adjectives to add detail. 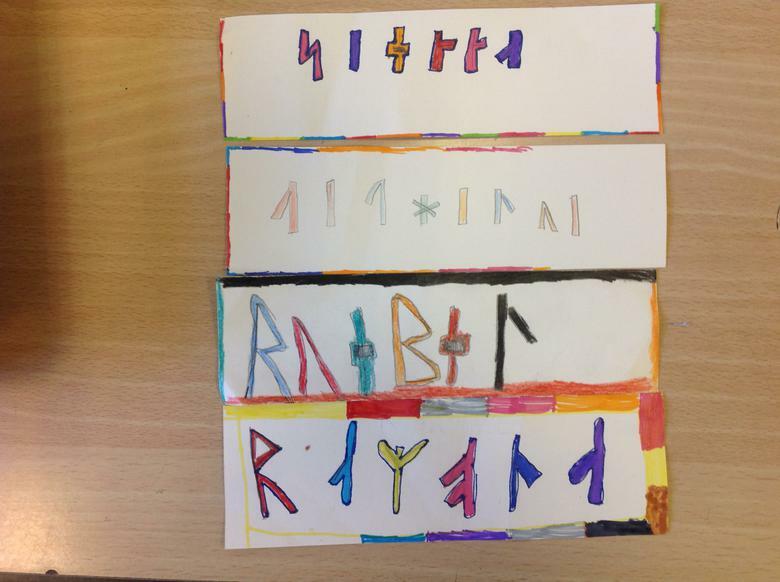 Numeracy - To compare and order numbers up to 1000. To 10 or 100 more or less than a given number. Times tables!! We have been hard at work practising our times tables and sometimes use this game to warm our brains up for maths. Have a go at home to see if you can beat our class scores!